Nikon has posted the scary and awesome photomicrography works that won the judges’ hearts at the 2014 Small World in Motion competition. If you too have a flair for the arts, hurry up – there’s still time to submit your 2015 entries before today finishes. More than 130 entries were submitted this year, depicting the peculiar inner workings of bacterial life, plotting against us from a microscope slide. The competition introduced the video category in 2011, taking it into awesome territory. The verdicts are in for 2014, with first place going to Dr Mariana Muzzopappa & Jim Swoger of the Institute for Research in Biomedicine Barcelona and the Center for Genomic Regulation respectively, who captured the development of a zebrafish’s lateral line – an organ that reads water movements, a bit like the inner ear in mammals. The video is at once creepy and full of grace. 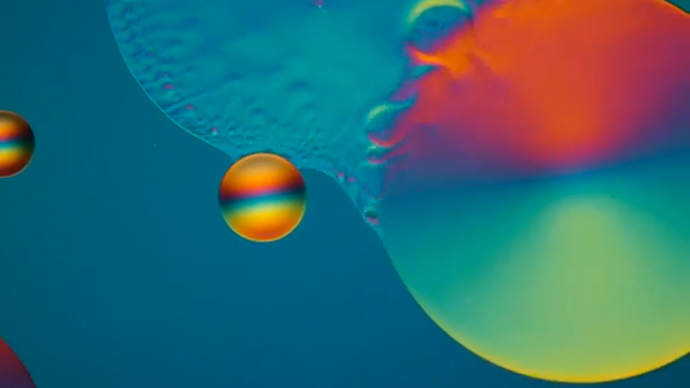 Next up, a time-lapse image of crystals forming inside a drop of saturated caffeine solution. Shining polarized light on the evolving formations, Dr Douglas Clark of Paedia Corporation perfectly captured the 20-minute process in a mere 40-second stretch. This revealed the marvelous crystalline segments interacting in compressed space, as they achieved equilibrium again from a chaotic, liquid state. Finally, University of Colorado Professor Dr John Hart captured the dynamics of evaporation of a thin film of oil on a slide. As an oceanographer, he has been researching the effects of oil spills. Here we can see reflected light bouncing off the shifting colors, a remarkable sight. Many other sterling examples of photomicrography were submitted, with the video, compiled by The Atlantic, showing the true grandeur of microscopic processes in all their glory. “The capability to capture and share the movement or development of a specimen under the microscope clearly represents one of the greater advancements in the tools available to the scientific community in recent years – and we are honored to shine a light on some of the best examples each year,” Eric Flem, Communications and CRM manager for Nikon Instruments said.